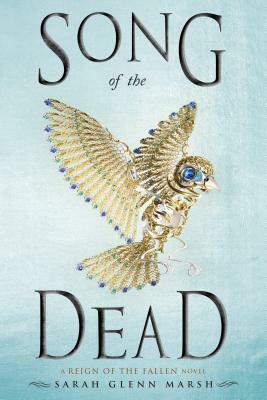 SONG OF THE DEAD is book two in the Reign of the Fallen series, and we're thrilled to have Sarah Glenn Marsh join us to share more about it. Sarah, what scene was really hard for you to write and why, and is that the one of which you are most proud? Or is there another scene you particularly love? When I think of a challenging scene in SONG, two come to mind! Both are full of spoilers, but you'll know them when you read them because they're arguably the two darkest scenes in the book. Those dark scenes involve a lot of angst and a lot of action, so it was hard for me during the first draft and subsequent revisions to keep track of where everyone was, what everyone was doing, feeling, etc, on top of all the emotions swirling around! I'm definitely proud of those two scenes--and I'll be even prouder if they shock readers the way I want them to! 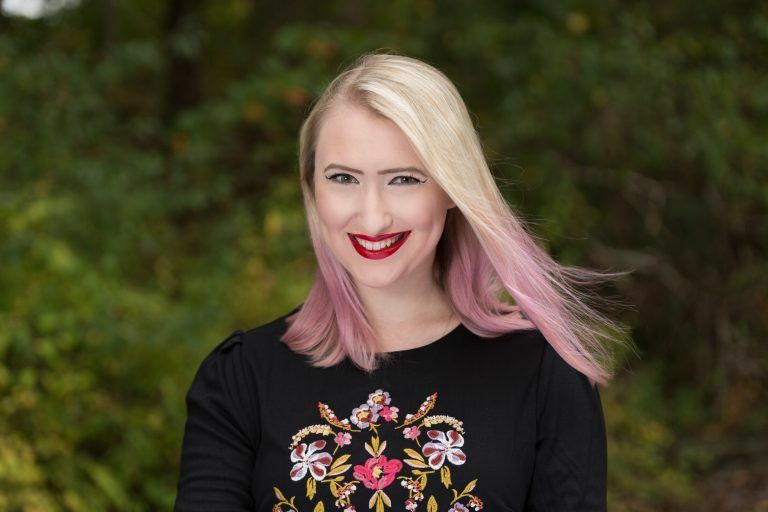 If you love the tolerance and lack of discrimination in SONG, you'll want to check out Becky Chambers' amazing sci-fi novels, starting with The Long Way to a Small, Angry Planet (I will never stop recommending this gem of a book!). If you love your fantasy mixed with horror (first of all, *high five*), then you'll want to check out Garth Nix's powerful Abhorsen series, which is full of undead goodness. On a similar note, you'll want to pick up Beth Revis's Give the Dark My Love--true to its title, it's a dark read that doesn't hold back. For a nonfiction read that, like SONG, explores a wider world, check out The Lost City of the Monkey God by Douglas Preston. It reads like an adventure story, though it's true, and I was absolutely riveted. If badass leading ladies and royal intrigue are more your style, check out the upcoming book Four Dead Queens by Astrid Scholte. I tore through it! Honestly? It taught me that writing sequels are hard, and that the best way to do so is with a copy of the first book--and your world building notes--in hand so you can double-check each little detail. It also taught me that I can write a sequel I'm really proud of wrangling a large cast of characters and multiple plot threads to a satisfying end. It showed me how dark I can go with my writing, too--and how much fun I can have while doing so! What do you hope readers will take away from SONG OF THE DEAD? While in the publication process for SONG, I experienced a crushing personal loss. I felt for Odessa in a way I couldn't before; I hope readers will know that it's okay to grieve in whatever way feels right to them, and that no one can tell them how long that process should take or what it should look like. I hope they'll recognize how Odessa and various mages she meets are all very different, yet they respect each other all the same, and many become heroes in their own right; I hope they'll feel seen by this story, and know it's not just okay to be different, but that being different can be absolutely wonderful. I can't listen to music while I write--if I hear a song I like, I'll start singing and dancing (and confusing my dogs)! I work at home, surrounded by my sighthounds, with noise-cancelling headphones on. I run a beautiful nature track through the headphones, and when I hear those sounds, my brain knows it's time to get down to business and focus! Remember the joy in what you do, remember who you write for, and above all else, stay true to the story you want to tell, because no one else can write it. Have you had a chance to read SONG OF THE DEAD yet? Is there a particular thing you do to let your brain know it's time to write? Are you able to remember the joy in what you do? Share your thoughts about the interview in the comments!